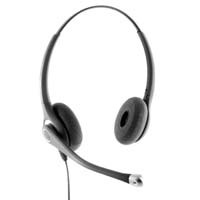 Corporate Telecommunications has extended its range of headsets, marketed under the Agent brand, with four premium models. All corded, they include monaural and binaural versions, voice tube or noise-cancelling microphones and a two-year warranty. Custom made in the Far East, they are said to offer all the features of the big brands but without the price tag. The new products, models 500-800 (pictured), add to the existing 100-400 range. New customers are offered a free 14-day no-obligation trial of all models. Corporate Telecommunications also offers a service, using a secure web-based database, to monitor the lifecycle of each headset. It tracks who is using which headset, which ones need repair, which are out of warranty and which need new voice tubes or an upgrade. Contact: chan.bansal@corpteluk.com.